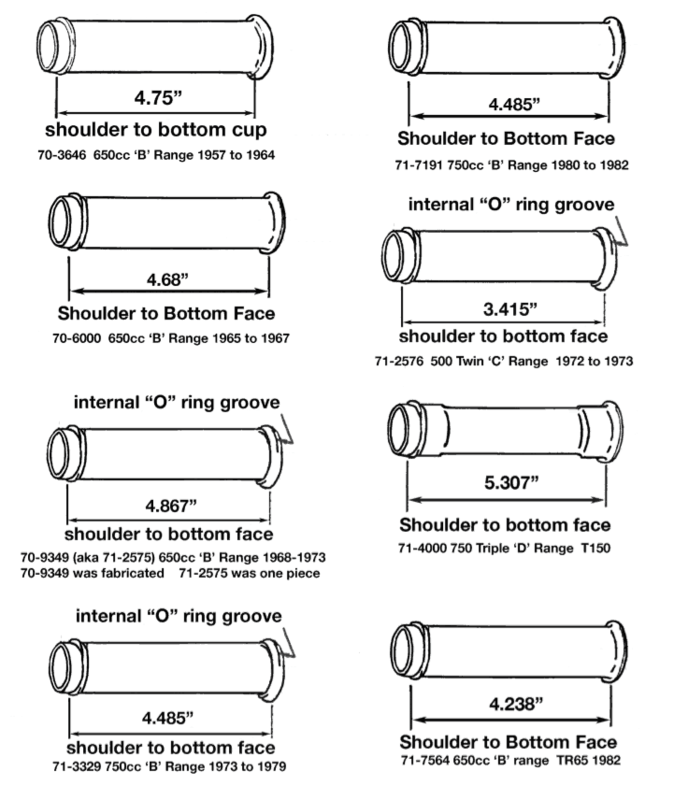 Understanding Triumph Tappet Blocks and Pushrod Tubes | JRC Engineering, Inc. The neophytes guide to Triumph motorcycle Tappet Blocks, and their applications made easier. 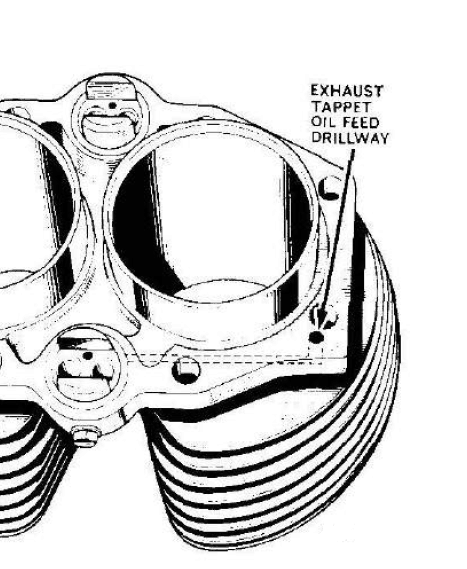 The Triumph twin cylinder engine began life in the 30’s as a 500cc and was eventually expanded to 750 cc but the design remained remarkably constant throughout the 44 years the Meriden factory produced them. 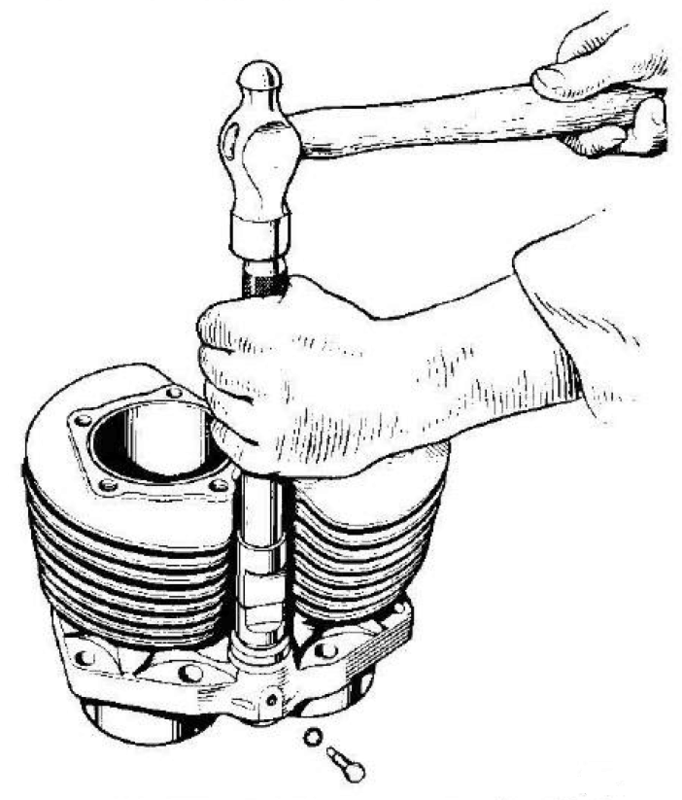 This similarity in parts has led to much confusion on what works with what in the way of lifter blocks and pushrod tubes and cylinder heads. We will try to clear up some of these questions beginning with the earliest post war versions and working up to the last models produced in late 1982. The will cover the pre-unit 500/650 as well as the 1963-83 unit big twins. The 350/500 will be addressed in a separate article. Date code located in the inlet rocker box cavity. This is a 1968 head. The pushrod tube O rings need only .030” “crush” that is the head should be about .030’ off the gasket before torquing the head bolts. Mix components or fit thicker or thinner head gaskets to get this amount. More crush warps the head and less gets leaks at the pushrod tube joints. 1956 first year alloy head, these are prone to cracking between the inner stud holes and valve seat. If the crack is small they will still work fine, valve seats are cast in so they cannot fall out. Just run it. 1959 Bonneville dual inlet splayed head. Early ones still had the TR6 casting bosses beside the T120 inlets. 1969 Deeper pushrod tube receiver hole in head with a slight chamfer to guide the top O ring into place. 1971 Changed rocker box gasket. Locating dowels for rocker box. The 1972 T120 head used bolt on inlet manifolds and had push in port exhaust pipes instead of screw in spigots. 1982 T140ES exhaust spigots returned and parallel inlets for dual big carburetors. Lifter block has no oil feed to tappets and no O ring under the 1/4 inch thick flange. 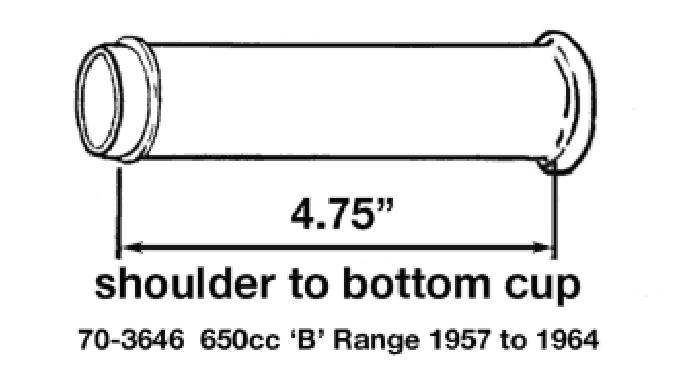 Pushrod tube has a guide plate internally for the pushrods. This must be aligned so as to not rub on the pushrods in use. Lower O ring is Triumph number 70-1496 3/16” thick rubber, upper O ring is PN 70-3547 3/16” thick. 1. Lifter block has no oil feed to tappets, no O ring under the 3/16 inch thick flange. 2. 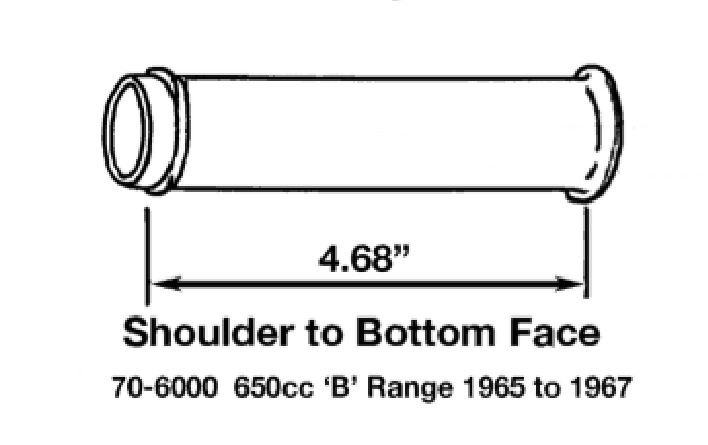 Pushrod tube has a guide plate internally for the pushrods. This must be aligned so as to not rub on the pushrods in use. 3. 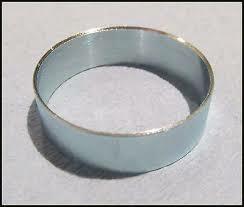 Upper O-ring is Triumph PN: 70-3547 and lower O ring is Triumph number 70-1496 3/16” thick rubber. 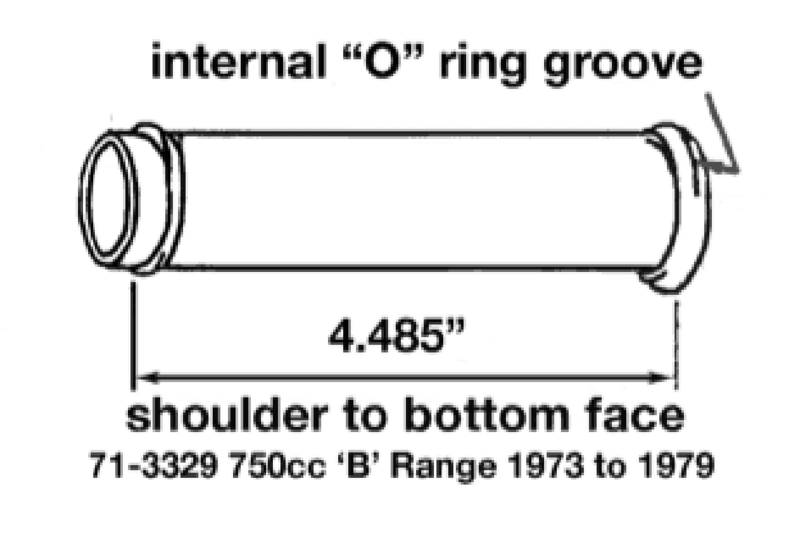 Lower O ring retained by a cupped recess in the pushrod tube. 1. Lifter block has oil feed to tappets on exhaust only and has an O ring under the 3/16 inch thick flange. Using a non-oil feed cylinder on an oil feed case results in big leaks! 4. The cylinder head will have 8 larger stud holes with a smaller center head bolt. 5. 1966 only tappet has long recess for oil feed to the cam. This fits one year only although the drawings in the parts books show this for later bikes. 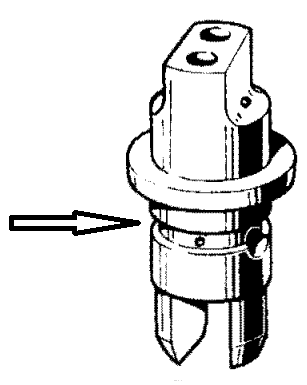 The 1966 had a restrictor jet in the oil feed to the tappet block. Do not use these tappets in a motor without the restrictor (1967 on) as a dangerous drop in oil feed to the crankshaft will result. Oil hole faces out. 1. Lifter block has oil feed to exhaust tappets and has O ring under the 3/16 inch thick flange. 5. 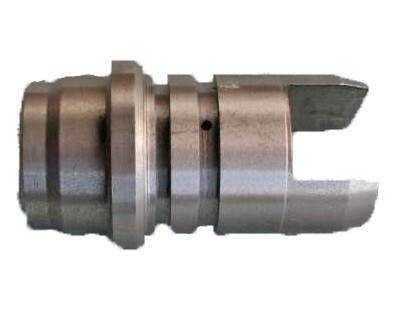 1967 tappet became the “timed” tappet using a small recess to align with the oil fed in the tappet block for only a short time in its travel. These are safe to use with any tappet block. Oil hole faces out. 2. Pushrod tube has no guide plate internally for the pushrods. This became part of the rocker box gasket. time in its travel. These are safe to use with any tappet block. 2. Pushrod guide part of the rocker box gasket. 4. The cylinder head will have 8 larger stud holes with 2 smaller center head studs. 5. Timed tappet using a small recess to align with the oil fed in the tappet block for only a short time in its travel. These are safe to use with any tappet block. 6. 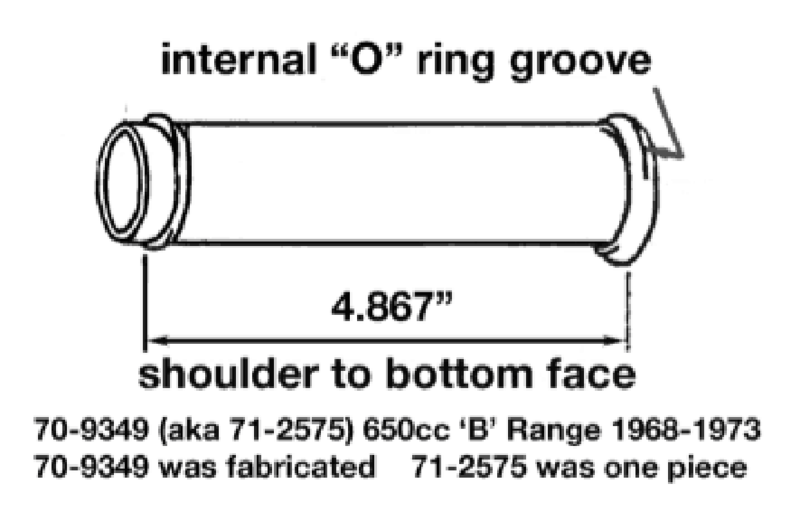 1982 cylinder head has threaded exhaust ports for exhaust stubs like the 650 up to 1971. You can mix and match 1956-1968 650 lifter blocks with a cylinder head that has the shallow recess for the upper O ring, 1968 and earlier. Beware however as 500 1957-68 lifter blocks look the same but have a smaller OD on the flange. Oil feed is on exhaust only however you can use exhaust lifter block on the inlet with no problem. 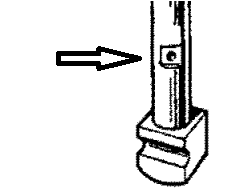 Use the correct tube for the lifter block flange thickness, see text for year applications. You can mix 1969-72 lifter blocks and pushrod tubes with any 650 head with the deeper 1/8” recess. 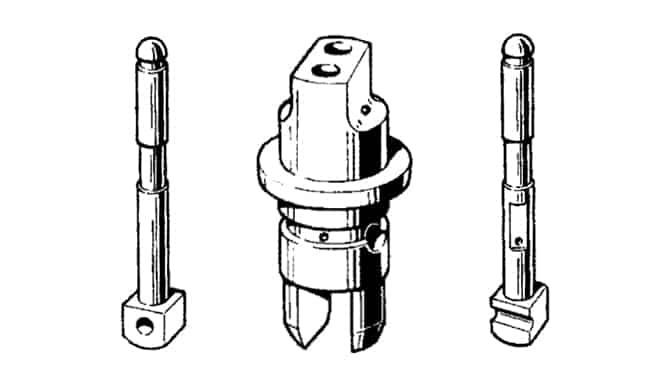 Some pushrod tubes have a castellated top while others have holes but all later type with captive O ring in base will interchange. T140 lifter blocks will fit 1969 650 0n. T140 pushrod tubes interchange 1973-78. 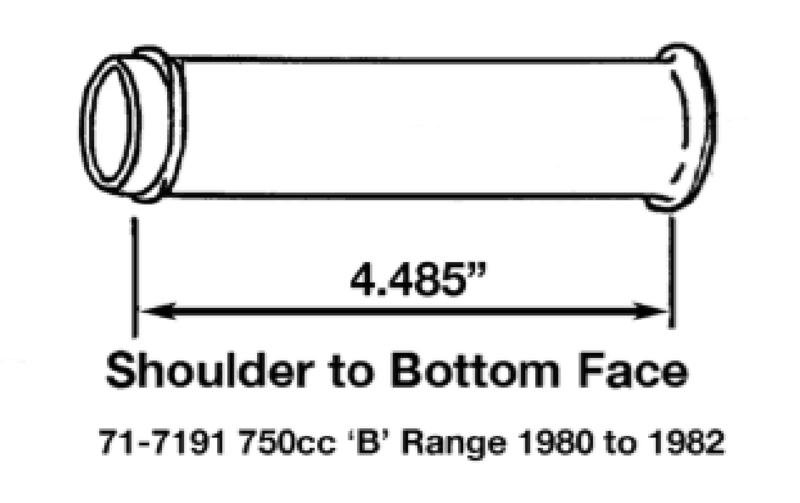 750 pushrod tubes are shorter than 650 tubes. 8 stud and 9 stud cylinders have different stud spacing so a 9 stud head will not bolt to a 8 stud cylinder. A 9 stud 650 top end complete will bolt to a pre-unit crankcase. Use tool PN 61-6008 to remove and replace lifter blocks. Anything else will break a very costly part.